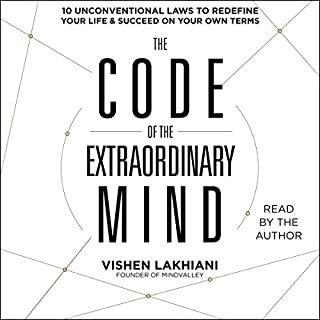 What did you love best about The Code of the Extraordinary Mind? Condenses so many ideas for success at life, love and happiness into one book with exercises to keep it simple and easy to apply daily. The book is wonderful and full of ideas to change how you see the world and how you can make every day just a little better. What about Vishen Lakhiani’s performance did you like? Vishen has a voice made for talking to audiences and getting ideas across. Just makes me smile every time I listen to a few pages or look at what Brules I can break each day. Well worth a listen and something to refer back to almost daily.